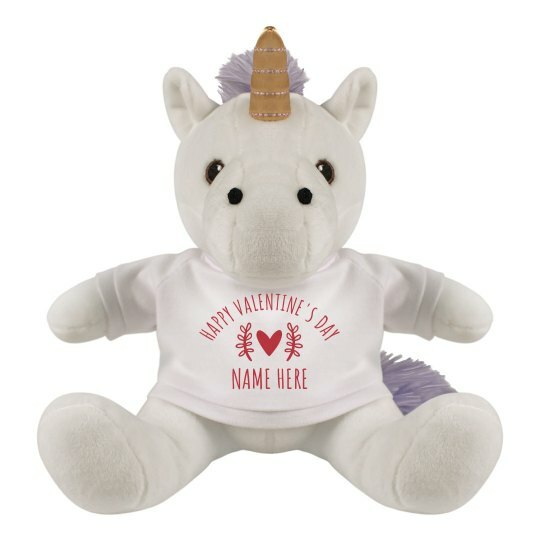 Make Valentine's Day extra more special and cute with this customizeable unicorn plush! Greeting Happy Valentine's Day with the name of that special person will surely make the occasion more and more romantic and sweet! Feel free to use our Design Center and play around fonts and arts of your choice!